While CreativeLive crew was filming a star photography course for Night Photography Week in the Alabama Hills, they saw something amazing, and were able to capture it on film. 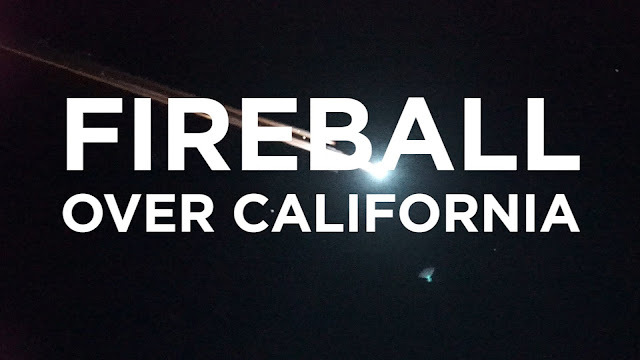 The fireball streaking across the sky was the largest, brightest, and longest that any of them had ever seen. It began to break up slowly as it entered the atmosphere, and lit up the entire sky. It came from the West over the Sierra mountains (Mt. Whitney), and streaked across the entire night sky to the East, towards Nevada. About 5 minutes after they stopped filming, they heard a significant boom far off into the distance.